We apologize for the sudden announcement. However, we’ve noticed a deck that would be extremely powerful following the release of Series 5. As such, we’ve decided to errata the card to maintain the balance of the meta in advance. In order to ease concerns about this card, we’re issuing an errata to its [Permanent] skill. [Permanent] If this card's power is 40000 or more, your opponent may not activate [Counter] during battles where this card is attacking. 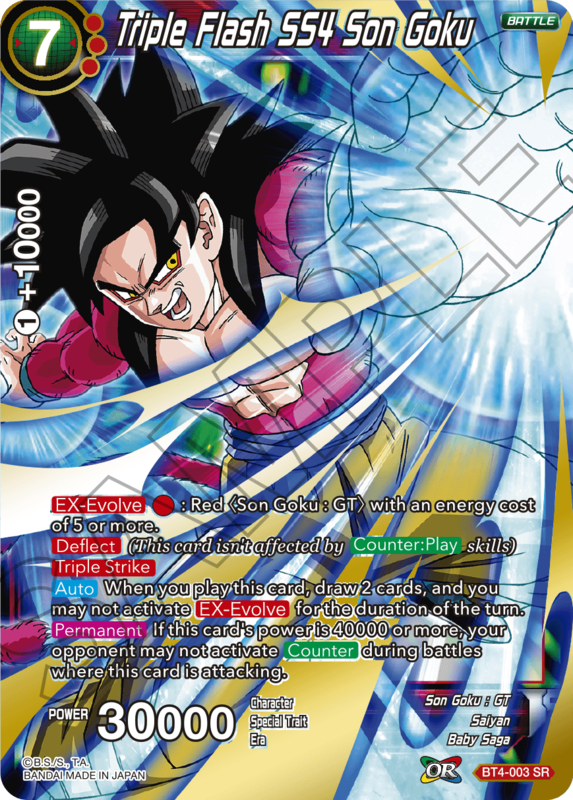 [Permanent] If this card's power is 40000 or more and your Leader Card is a red 《Saiyan》 card, your opponent may not activate [Counter] during battles where this card is attacking. The errata takes effect on November 9th, 2018. The errata takes effect on November 23rd, 2018. We’re dedicating ourselves to designing a game that Dragon Ball fans and card game fans alike can enjoy. We look forward to your continued support.